It almost seems unfathomable to think that young people would give a sweet damn about traditional bluegrass. 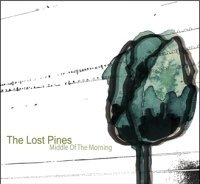 But, The Lost Pines (MySpace) have proven those living inside the box completely wrong. Middle Of The Morning is straight down to earth, Texas good timin’ tunes. Like a batch of Woodie Guthrie followers from the sixties, a new craze is being built. One banjo pluck at a time. A dosie doe inducing track like “Won’t You Be My Baby” not only sounds convenient for your local county fair, but for your showcase hotel lounge as well. And “Sarsaparilla Sam” has a beautiful harmony dedicated to the hard working, death awaitin’ nobody hero hidden behind the curtains of America. The Lost Pines are far from lost when it comes to providing depression-era interpretation of the beauty that can be transcribed through the harsh idealism of what it means to be down, yet trying to feel good. The lyrical trade offs of lead vocalists Talia Sekons and Christian Ward is impeccably perfect. They understand when they should work together, and when their individual efforts would be most preferred according to particular tracks. And, of course, the back up band is brilliant at what they do. 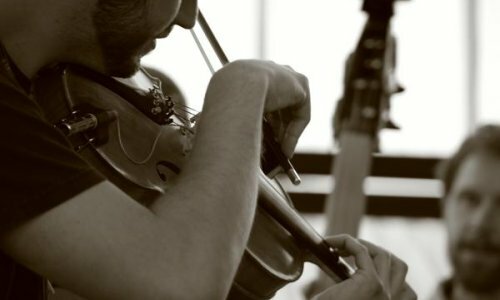 From the upright bass, to the beloved fiddle, The Lost Pines reminisce on the old times and bring a new flavor of bluegrass to the indie world that has decided to supersede old world compilations.